The city of Baton Rouge, La., uses a mobile app to capture data about trees on public property, including power-line dangers. By Mladen Stojic, president, Hexagon Geospatial (www.hexagongeospatial.com), Norcross, Ga. Situated on the Mississippi River, the city of Baton Rouge, La., offers a vibrant culture that comes from Louisiana State University (LSU), Southern University and numerous other industries and businesses in the region. The city also is renowned for its wealth of enormous live oak trees and stands of bottomland hardwood forests, which can provide numerous conflicts with utility power lines. 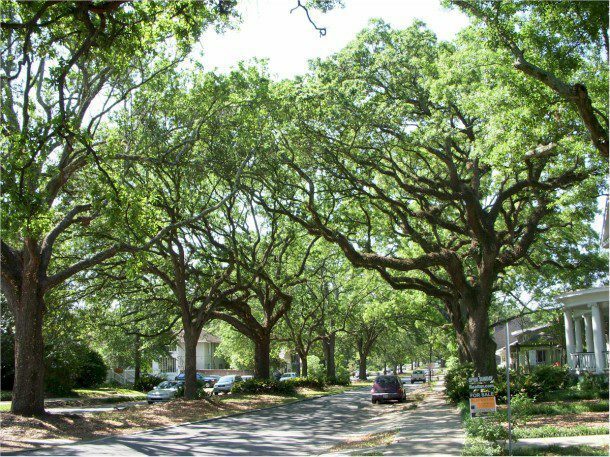 In addition, much of Baton Rouge’s tree canopy was impacted by the severe winds that occurred during Hurricane Gustav in 2008, causing even greater challenges with the lines. To capture point data and attributes for trees within public servitudes and right-of-way areas, the city of Baton Rouge’s geographic information system (GIS) analysts use a mobile mapping solution, Hexagon Geospatial’s Mobile MapWorks, which was implemented by Intergraph Security, Government & Infrastructure (SG&I). Building off Hexagon Geospatial mobile technologies, Intergraph SG&I has been working with the city on the implementation. Mobile MapWorks is a downloadable iOS and Android app for viewing, editing and updating field-asset information in real time. Accessible through a simple interface and using Open Geospatial Consortium (OGC)-standard Web services, the app is compatible with all GIS platforms on the market. The city of Baton Rouge also will use the app to develop a sub-address survey, which will collect citizen address data to help locate people during emergencies, send important notifications and assist with tax collection. The project will support local first responders in their efforts to develop a comprehensive catalog of citizen location data. The app lets users work directly in their databases without any data conversion, synchronization or temporary data stores. This open architecture also allows field updates to become instantly available to any and all GIS platforms on the desktop, Web or mobile devices. 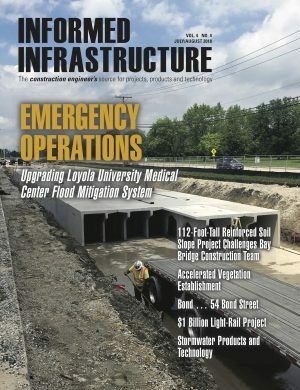 “As with the city of Baton Rouge, the interface and back-end can be easily customized to meet the needs of local governments, transportation authorities, utilities and public works organizations as well as meet the specialized asset management needs of defense and intelligence agencies,” said Dwayne Wiginton, director of Sales for Intergraph’s Government and Transportation division. The Mobile MapWorks program will track trees and catalog addresses for use in emergencies, public notifications and tax collection. No longer must geospatial data processing begin and end at the desktop with trained analysts. Whether it’s a soldier on patrol, a first responder at a disaster or a construction worker trying to figure out where to dig, users in the field can increasingly reach for a mobile device that provides the data and tools needed to perform effective remote work. 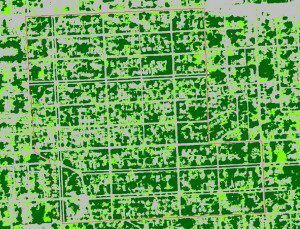 The data collected through the city's effort will be integrated into a larger tree canopy classification project. The app lets users work directly in their databases, using 3G, 4G and wireless connectivity for online access to GIS databases, thus eliminating the need to import and export data. The app also authenticates each user and delivers XML-based configurations to the user’s mobile device based on his or her identity, enabling personnel to customize and specify the data layers, access and operations that support the field-based workflow to be performed. Mobile MapWorks allows users to integrate and control (turn on/off) the display of vector, image, raster and consumer mapping data, such as OpenStreetMaps, into a single map view. Users can save bandwidth and display time by creating and caching raster data with TileCache, an open-source tool. Maps are easy to navigate by using touch gestures through a device’s Global Positioning System functionality, which locates and tracks users’ locations. Users have the ability to review feature geometry, delete features and add new features using touch gestures or capture feature geometry. Furthermore, users can show and edit feature attributes as well as limit keystrokes by using pick lists and check boxes. It is also possible to upload one or more photos by using the device’s camera or upload existing photos from a gallery as well as search for features based on attributes and OGC’s Web Feature Service interface standard. 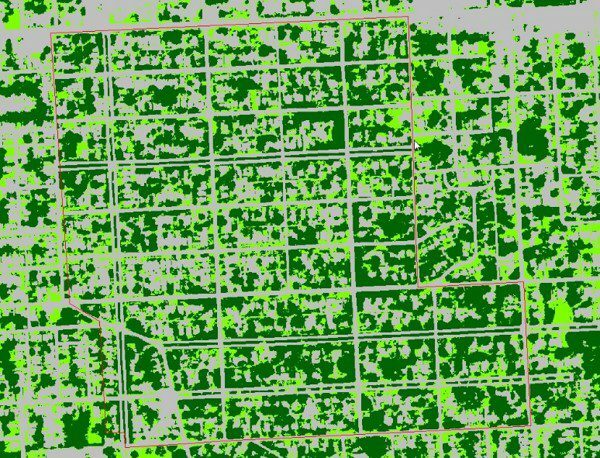 The idea of tracking forest coverage in Baton Rouge isn’t new. 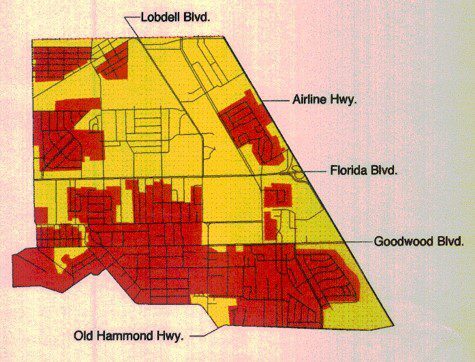 In 1995, the city developed its Urban Forest Management Plan, which involved tracking trees impacted by hurricanes and new land development projects. In addition, the city launched its Master Plan Update and Economic Strategic Plan Phase II in 2009, which advocates for enhancing the city’s downtown region with a continuous tree canopy along principal streets to improve the pedestrian experience and promote biodiversity. This vision helps the city maintain an urban forest that maximizes comfortable shade as well as reduces temperatures and carbon emissions. The plan notes that achieving an optimally functioning urban forest would require careful analysis and design, quality construction and long-term maintenance. As a result, the data collected through this effort will be integrated into a larger tree canopy classification project that is being developed using Hexagon Geospatial’s ERDAS IMAGINE software, which allows organizations to perform advanced remote sensing analysis and spatial modeling. This includes creating new information by visualizing results in 2-D, 3-D, movies and on cartographic-quality map compositions. The city of Baton Rouge is a prime example of how city and local governments can use next-generation solutions to effectively track and manage field assets. In the past, this process was performed manually and required cumbersome systems, causing significant time delays. Now automated systems can help streamline such operations and help organizations work more efficiently.